Certain park amenities do charge an admission fee, or have rental charges as outlined below. All fees and rental rates include taxes. Payments for rentals must be received within 48 hours of reservation. Payments can be made by cash (in person only) or check (in person or by mail). Important: You must put reservation name, what you are renting and date of rental on check. To check availability and/or make reservations, call City of Parkersburg Parks and Recreation Department, 304.424.8572, M-F 8:00AM – 4:00PM. Shelters at City Park and Southwood Park are available to be reserved for a fee. When not rented, the shelters are on a first come first serve basis. 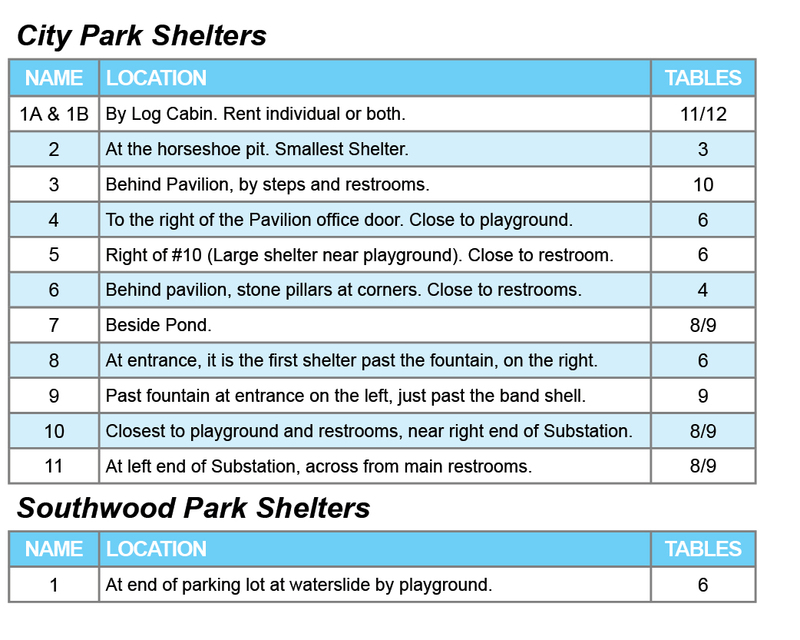 Shelters at all other parks cannot be reserved, and are first come first serve. 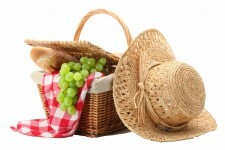 For Fort Boreman Shelter Rentals, click here (goes to Ft. Boreman Page). $80.00 per hour – includes cost of lifeguards, managers, utilities, and taxes. To check availability and/or make reservations, call City of Parkersburg Parks and Recreation Department, 304.424.8572. $60.00 per hour – includes cost of lifeguards, managers, utilities and taxes. Available Thursday – Sunday after regular waterslide hours, up until 8:30PM. 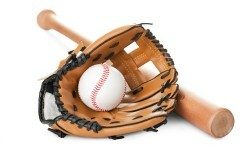 The ball fields at City Park and Southwood Park can be reserved. To reserve, you must sign a user agreement and provide proof of $1,000,000.00 liability insurance.